Navesta believes governments have a key role as a regulator for pharmaceuticals, as well as a vital role as a partner in the health industry to ensure that a country's citizens have access to the necessary prescriptions which they need. Navesta works with governments through either a Public-Private Partnership (PPP) or through tender bids. 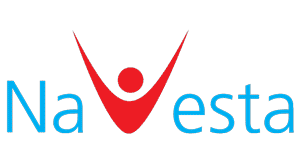 Navesta believes in joint ventures with governments in order to solve a country's most dire health care needs. Public-Private Partnerships showcase not only Navesta's commitment to alleviating health sector concerns; it also represents a government's willingness to welcome investments that'll help lift its citizens to a higher quality of life. Through a united force with governments, Navesta believes that more citizens of the world will have access to high-quality pharmaceuticals, no matter where they are. Navesta participates in government tenders within the company's relevant fields in order to bid for projects that will assist in the development of the healthcare sector.